Wilma Rudolph faced adversity from the very beginning. When she was born prematurely, the 20th of 22 children, she weighed only four and a half pounds. By the time Wilma was four years old, she contracted double pneumonia and polio which left her with a paralyzed left leg. Hello, friends! This is Doug Batchelor! How about an amazing fact! Wilma Rudolph faced adversity from the very beginning. When she was born prematurely, the 20th of 22 children, she weighed only four and a half pounds. By the time Wilma was four years old, she contracted double pneumonia and polio which left her with a paralyzed left leg. Doctors said she’d never walk again without assistance. But Wilma’s simple faith in God and determination would not allow her to give up. At age nine, she stunned her doctors when she removed the metal leg brace that she’d been depending on and began to walk without it. By 13 she developed a rhythmic walk which doctors said was a miracle. That same year she decided to become a runner. She entered a race and came in last. For the next few years every race she entered she came in last. Everyone told her to quit, but she kept on running. Then one day she actually won a race. And then another. And then she won every race she entered from then on. Eventually, this little girl who was told she would never walk again went on to win 3 Olympic gold medals running. She never gave up. The Bible says if you can believe all things are possible for he who believes. Stay with us friends, we’re going to learn more as Amazing Facts brings you this edition of Bible Answers Live! Pastor Doug Batchelor: Welcome, listening friends! We are very thankful that you chose to tune in to a fresh serving of Bible Answers Live. It is a live international, interactive Bible study and we invite you to join us. You can listen as we do our best to answer the Bible questions are coming. You can call with your Bible question. It’s a toll-free number, as we said a moment ago, it’s 800-GOD-SAYS. If you don’t get through the first time, don’t give up, just press the auto dialer and eventually we’ll get you a line that’s 800-463-7297 and my name is Doug Batchelor. Pastor Jean Ross: That’s quite the story about Wilma Rudolf who overcame tremendous obstacles to not only walk and run, but to win. Pastor Doug Batchelor: That’s right! She just refused to give up and the faith of her family, her mother who would massage her legs four times a day. And they refused to believe the ominous report that it was impossible. It made me think that there are some people that say, you know it’s really impossible for people to live a Christian life and to be like Christ, and yet that is the goal for every Christian, to be like Jesus, to grow to be more like Him. And the key is walking with Him and it begins by taking steps. It is a miracle when people are transformed that way. You know, Peter did the impossible when he walked on water. When he took the eyes off Jesus, he sank but when he kept his eyes on Jesus, he was able to accomplish the impossible. And ultimately Peter had great victory in his life. We just want to encourage all of our listening friends that whatever trials you might be going through, whatever struggles or headaches or adversity, that you can be victorious. You can take those steps towards God and live a new, victorious life ultimately, be in the Kingdom. We have a book that should give you some encouragement in that direction. Pastor Ross, tell us about it. Pastor Jean Ross: That’s Luke Chapter 9, beginning with verse 57, where it talks about a certain scribe who come to Jesus. A very interesting topic, Judas Iscariot despite the fact that he sort of volunteered to be a disciple, it’s interesting that Jesus accepted him, and loved him and ministered to him as he did to the other disciples. Pastor Doug Batchelor: That’s right and one time Christ said “Have I not chosen you twelve and one of you is a devil” and so Christ did accept him as an apostle, but he knew right away that his heart and his motives were not right. 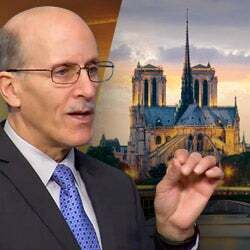 Pastor Doug Batchelor: Well, the Bible tells us that, of course, Jesus, in the Gospel of John it tells us, that Jesus’ apostles were baptizing. Jesus was baptizing more disciples than John, but then it goes on to say that Jesus himself didn’t do the baptizing but His disciples did. And then it’s understood that the disciples are referring to the apostles. You do have... and they were all ordained, Christ lay hands on them and chose them. We do have it in the Book of Acts the example of Philip who was baptizing the Ethiopian believer and he was an ordained deacon. And if a person follows the logic, if a brand new baby Christian that’s one week into the faith with not a lot of grounding and thorough teaching and maturity in the walk is screening and clearing others, baptizing them before they really are settled, the standards of the Church can get convoluted. It’s important that people who have matured in the faith and understand the commitment are then set aside by ordination, that baptism is done by those people who have grown in the faith and they are familiar with some of the broad and comprehensive teachings of Christianity. So there is no mandate in the Bible that says nobody but an ordained person should baptize but the examples we see, Paul said “I baptize”, Apollo’s baptized, Philip was a deacon and an Evangelist baptized, the apostles baptized... You don’t see baby Christians baptizing. Pastor Jean Ross: All right, very good! Again, if you have an internet question we’d love to receive it. You can go to the Amazing Facts website: www.AmazingFacts.org and there is a link that says contact us, you can click on that link and send your Bible question via the e-mail and we’re going to try and read that on the program and get a Bible answer. We go to the phone lines now, Jim is calling from Indiana. Welcome to the program Jim! Jim: Thank you! I love listening to your program whenever I get it. I’m a truck driver and I don’t get around the same areas very often. Every once in a while I find your radio programs, I really enjoy listening to them. Pastor Doug Batchelor: Bless your heart, we’re glad we caught you tonight. And your question! Pastor Doug Batchelor: That’s a good question. For our friends who are listening, Jim is referring to a story that’s found in several of the Gospels about the Demoniac that was filled with demons. The demons were cast out into a herd of swine. The swine then subsequently ran off a cliff and drowned, well where did the demons go? Well, the demons said to Jesus “Do not cast us out into the ‘abysos’ meaning the nothingness of the darkness”. Then Christ tells another story, Jim, where He says that when a demon is gone out of a man, he wanders in desolate places until he comes back to find his home and finds it cleaned and swept. And then he brings seven other demons worse than himself. So demons that aren’t directly harassing or tempting someone are looking for fresh customers. It’s like Satan who came to the Lord in the book of Job and said “Satan, where do you come from?” “I came from wandering to and fro and up and down in the Earth.” These demons are prowling like lions looking for subjects that they can possess. Pastor Doug Batchelor: No, until the Millennium, until after the Millennium when Satan and his angels are cast into the lake of fire, Satan and his angels are reserved in this world in chains of darkness, they’re waiting for judgment but while they’re sequestered in this world with us humans. They are constantly working to tempt and to bring down with them as many as they can. Pastor Doug Batchelor: I appreciate your question. I’m sure there’s others out there that were wondering that. Pastor Jean Ross: By the way, the verse that you referred to, Pastor Doug, where Jesus is telling that parable about the house being swept and cleaned, it’s Matthew 12:45. Pastor Doug Batchelor: Thank you very much. Pastor Ross knows that I’m dyslexic with numbers. I can quote these verses but sometimes I can’t remember the chapter and the verse. Pastor Jean Ross: Well, it makes it easy, while you’re speaking I’ve got the software right here in front of me to kind of look up the verses in the Bible. So it does help, these modern technologies. Our next caller is David and he’s calling from Vacaville, California. David, welcome to the program. David: Thank you, good evening. My question is, I watch your Amazing Facts program on television and a recent one you had mentioned about the papacy being the ... well you mentioned Revelation 13, the papacy being the first beast, and you went into great detail about that, but you also mentioned that you believed that the second beast was the United States. You didn’t really go into that very much. Could you explain why the second beast is the United States? Pastor Doug Batchelor: Yes David, I’ll give you a brief answer and the reason in our TV broadcast I don’t go into that in depth is because we had a whole other presentation called The USA and Prophecy. As a matter of fact before I get to your question, I’ll tell you right now, we’ll send you a copy of that study guide if you’d like it, it’s very simply The USA and Prophecy. In Revelation 13 there are two beasts. Listening friends, a lot of people say the mark of the beast, but you read Revelation13:1 it says “I stood on the sand of the sea and I saw a beast rise above of the sea”, but you get down to verse 11, it says “I beheld another beast coming up out of the earth.” The first beast comes out of the sea. You read in Revelation 17 that the sea represents multitudes of peoples and nations, densely populated areas. The second beast is a new kingdom, world, empire that rises above of the earth. And America sort of grew out of an unknown land and, yes, there were people here, but it was pretty sparsely populated, and it turns into a world empire in a very short period of time based on world history. In 200 years it goes from frontiersmen to pretty much the undisputed world power. Then it goes on to “it speaks like a lamb but it has two horns like a dragon”, I said that backwards, “two horns like a lamb but it speaks like a dragon”. Well the lamb in Prophecies is Christ and the dragon is the devil, so here you’ve got this paradox of symbols. The US starts out as a Christian country with freedom of religion, freedom of politics, of government, they don’t have a king, they don’t have a pope, but it ends up changing. It starts out like a lamb but ends up speaking as a dragon. I wish I had more time to give you the reasons. Europe is largely a stronghold for Catholicism and Orthodoxy the United States is a stronghold for the Protestant churches. There will be a uniting of the two, and that’s what you see in Revelation, the second beast that is US ends up endorsing the first beast, or the Catholic and Orthodox movements whose headquarters are principally in Rome. They form an alliance of religions that ultimately compromises the Bible and compels people to worship contrary to the Bible. So that’s a lot of heavy stuff to say and I just recommend people to ask for that lesson. Two lessons we’re talking about. One is The Beast or Who is the Anti-Christ and the other lesson is talking about The USA in Prophecy. And I want to thank David for that question and I hope he’ll send for that lesson The USA in Prophecy. Pastor Jean Ross: Absolutely, the number for that is 1-800-835-6747, and you can ask for the study guide The United States in Bible Prophecy. You can also ask for the Bible guide Who is the Anti-Christ? Dealing with the same subject, I think you’ll find it very interesting. Our next caller is Levon, and Levon is calling from Canada. Levon, welcome to the program! Levon: My question is what’s going to happen to the animals alive at the Second Coming of Christ? Pastor Doug Batchelor: Ok, good question. The Bible tells us, Jesus says in Matthew 24 I think it’s also in Luke 21, Pastor Ross... where He says: “As it was in the days of Noah so shall it also be in the day of the son of man”. Pastor Jean Ross: Luke 17. Pastor Doug Batchelor: Luke 17, thank you. There were a lot of animals in the world during the flood. Only those on the ark of course were saved, what happened to the rest of the animals in the world? Some were on the ark and the others perished along with humanity. In the city of Sodom and Gomorrah and the other cities of the plain that were judged with fire and brimstone no doubt there were animals and livestock in the vicinity that they unfortunately suffered the same judgment as people. And that’s why the constant reminder that when people sin, they not only hurt themselves, they hurt their families, but even the very environment and the animals experience the curse. Oups! For whatever... you still there, Levon? You got to press line 4 again, sorry. You there Levon? Pastor Doug Batchelor: Hopefully you heard that answer. We are having some typhoon weather in California and I think we have a few phone problems. Did that make sense? Levon: Do you think they’ll transcend the second coming or you really don’t know what you say. Pastor Doug Batchelor: Well, I don’t believe that animals, nowhere in the Bible though we read that Jesus died to save or redeem the souls of animals. I do believe there are animals in the New Earth because the Scripture is very clear about that. Isaiah 11 and other passages. Animals are part of God’s original plan so they will be in his ultimate plan of the New Earth. But whether the animals alive on the Earth are somehow saved or redeemed at the Second Coming, there’s no Scripture that talks about that. So, I just have to tell you what the Bible says and I can’t offer you one. Thank you Levon, I appreciate that. We got a friend called Steve Wohlbergwho wrote a book Will my Pet be in Heaven?, I think we carry that at Amazing Facts, Will my Pet be in Heaven? He addresses some of those things about animals. Pastor Jean Ross: If anyone wants to get that, just go to the Amazing Facts website, and you can search it in the catalogue it might even be available, I’m not sure. Pastor Doug Batchelor: And that’s not a free offer, it’s unfortunate, some we can’t give away. Pastor Jean Ross: Victor is listening on KFIA from Brentwood, California. Victor welcome to the program. Victor: Thank you. Thanks for taking my call. My question is on Daniel 11. The whole chapter, we’re doing it on one of our study groups, I’m a fairly new Christian and I’m kind of lost in these things. The whole chapter is basically a history lesson, from what I see, with all these battles and the talks about who’s ahead and who’s winning, who’s not winning, and why they lost and all this stuff. Actually, I don’t see Christ through that whole chapter as far as, you know... I don’t see a mention in there as for who Christ... I understand that, you know, I don’t understand it. Pastor Doug Batchelor: Well, don’t feel bad. Daniel 11 is one of the deepest prophetic chapters in the Bible and... You there Victor? Pastor Jean Ross: Let’s try again. Pastor Jean Ross: For some reason we can’t get through there. Pastor Doug Batchelor: He’s there. You’re dealing with one of the most difficult chapters in the Bible, Chapter 11 of Daniel. So don’t be discouraged. Jesus is in the chapter. You see a battle between the kingdoms of earth and the kingdoms of God through the whole chapter, starting out with the history of the Persian kings, which is then followed by, and it says right here in Daniel 11, the king of Graecia which starts out with Alexander the Great. He dies, the kingdom is divided into four parts. One of those parts of Alexander’s kingdom then grows into the Roman kingdom and then from the Roman kingdom, after it’s heyday, it goes from pagan Rome to papal Rome, and the ten divisions of Europe into the modern time. You’re watching an evolution of kingdoms in Daniel Chapter 11. Keep in mind, in the Bible there were no chapter divisions. Chapter 11 flows into chapter 12 which talks about the Lord standing up in their time of trouble, ultimately the Second Coming the victory of God’s kingdom, that’s how it ends. So, I hope that helps a little bit. Victor: That was quite good actually. Pastor Doug Batchelor: Bless your heart, I appreciate your question. Pastor Jean Ross: Our next caller is Andrei, listening on WMCA, from New York. Andrei, welcome to the program! Pastor Doug Batchelor: Andrei, are you there? Is it Andrei? New York, Andrei! Andrei: Hello sir, how are you doing? Do you want me to lower the radio? Pastor Doug Batchelor: No, if it’s only the background it might confuse you. 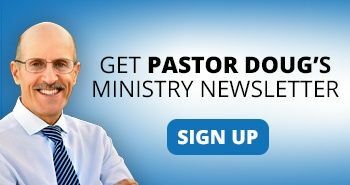 Pastor Doug Batchelor: Yes, we’ll give you the phone number again, and also the website but what’s your question? Andrei: I don’t have a computer though. Pastor Doug Batchelor: We’ll be happy to... All you have to do is to call the toll-free number and they’ll send you the offer for tonight. Andrei: Ok. After I finish are you going to give me that number? Pastor Doug Batchelor: Yes, and your question. Pastor Doug Batchelor: Ephesians 6, yes. Andrei: So God does not tempt, but He’s allowing and give us like “You did it ...” What the heck is going on? You see what I’m saying, my friend? 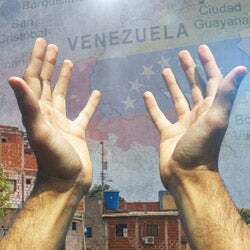 Pastor Jean Ross: Andrei, call 1-800-835-6747 and ask for the study guide The US in Bible Prophecy. We will be happy to send that to you. Again friends, if you’d like to get your call on the air this evening, the number to call is 1-800-GOD-SAYS, that’s 1-800-463-7297. We’re going to go to Lisa, who’s listening on WMCA in Brooklyn, New York. Lisa, welcome to the program! Pastor Doug Batchelor: You wonder why sometimes it doesn’t seem your prayers are answered. Well, a couple of things that I’d like to direct at you. First of all if you go to Psalms 37, Lisa. In Psalms 37, King David asks pretty much the same questions that you’re asking now. He’s talking about why does it seem that sometimes the wicked are prosperous. It says here “Threat not yourself because the evildoers, neither be thou envious of the workers of inequity.” Sometimes it looks like they’re doing fine and they’re prospering, but it goes on to say “they will all be cut down like the grass and withered like the green herb”. Evildoers will be cut off. Sometimes it looks like the wicked are prospering and that everything is going their way and their prayers are being answered, but keep in mind that this is all that they have, whereas a believer, this life is really not the answer for you and me. This life is just the launching pad for eternity. That’s one thing. The other thing I would say is: as you read God’s word, it will strengthen your faith. There’s that promise in Romans 10:17 “Faith comes by hearing and hearing by the word of God.” And so, be patient, continue to trust God, read His word and your faith will grow. And you’ll see miracles. Lisa: I should continue asking. Pastor Doug Batchelor: Yes, of course. Continue praying and always, of course, pray according to God’s will, and God will work miracles for you. Pastor Jean Ross: You know, the Bible tells us that we need to pray without ceasing. 1 Thessalonians 5-17. Now, that doesn’t mean that we go about on our knees all day praying, but it means we don’t quit praying. So if the Lord is laying something upon our hearts don’t get discouraged, don’t give up. God knows what’s best. And we can place ourselves in His hands, trusting that His will will be done at the right time. Pastor Doug Batchelor: That’s right. And we have a booklet that talks about prayer and how to experience answers to your prayers, if you would like that we’d be happy to send it to you. Just call our resource number and ask for the Amazing Facts booklet on prayer. Pastor Jean Ross: All you need to do is call 1-800-835-6747 and ask for the little booklet on prayer. Pastor Doug Batchelor: Teach us to Pray, and we’ll be happy to send that out to you. Pastor Jean Ross: 1-800-835-6747, and Teach us to Pray. Pastor Jean Ross: Well, we should at least have time for one more question. Pastor Doug Batchelor: Let’s see if we can get a fast one. Pastor Jean Ross: All right, let’s see. Jennifer, welcome to the program. Jennifer from Arkansas. Jennifer: I have a question, Deuteronomy 22:5. It talks about guys wearing girls’ clothes and girls wearing guy clothes. And a lot of people of my church tell me that it’s right for a girl to wear jeans but some other tell me that it’s not right for a girl to wear jeans. Pastor Doug Batchelor: Well, the main thing that is being said here in Deuteronomy 22:5 is that there should be a distinction in the clothing of men and women. Men should not wear clothing that is immodest or feminine, and women should not wear clothing that is revealing or masculine. There should be a distinction and there should be modesty. There’s no Bible mandate that says men have to wear dresses or women should wear pants. You know, fashions change but there should always be cleanliness, modesty and a distinction in the styles of men and women. We already see in our culture what happens, Jennifer, when men and women blur those distinctions. There’s a magazine article that I wrote at our Amazing Facts website that’s called What Shall I Wear? If you go to the Amazing Facts website, anybody who’s listening, just type in AmazingFacts.org and under that you’ll see Free Stuff and under the Free Stuff you’ll see we’ve got our Online Library, under the Online Library you go to the Inside Report, Magazine Articles and there’ll going to be one there called What Shall I Wear?. We’ll be right back, stay with us. Pastor Jean Ross: “Bible Answers Live” returning in just a moment. Remember to tune in to Pastor Doug’s daily radio program “Wonders in the World”, and our weekly television broadcast “Amazing Facts Presents” which is aired on major networks including ABC Family, BET, The Church Channel, Vision TV and Superstation WGM. Go to www.amazingfacts.org to find a station in your area. Are you in need of additional Bible based materials for further study? Consider “Amazing Facts” as free correspondent Bible study course, or our sale catalogue featuring hundreds of inspiring books and tapes. 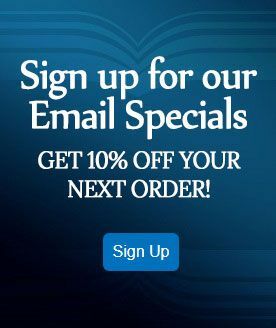 To order call our resource line at 800-835-6747. 800-835-6747. Don’t forget, friends, “Amazing Facts” is a faith based listener-supported ministry operating only by God’s blessings through your prayers and financial gifts. We would love to hear from you. Write to us at PO box 909, Roseville, California, 95678, or online at www.amazingfacts.org. Narrator: Welcome back to “Bible Answers Live” with Pastor Doug Batchelor. This broadcast is prerecorded. If you have a Bible related question you can call us from 7 to 8 p.m. Pacific Standard Time on Sundays and receive clear honest answers directly from Scripture. Call 800-GOD-SAYS, that’s 800-463-7297. Now please, join us as we look to God’s word for more Bible Answers Live with author and evangelist Pastor Doug Batchelor. Pastor Doug Batchelor: We are back and if you have just tuned in or along the way, you’re listening to “Bible Answers Live” and we are delighted that you’ve tuned in and we trust that you’ll be edified by the subject matter studying God’s words. You’ve got a Bible question you would like to call in to our toll-free number and ask us, once again we still have a couple of lines open. If you don’t get through right away, just be persistent and hopefully one line will open up and you’ll be able to capture that. The number is 800-463-7297 and I am Doug Batchelor. Pastor Jean Ross: My name is Jean Ross. Pastor Doug, we’re excited to announce something taking place in September that I think a lot of parents and teachers and pastors are going to be excited about. Pastor Doug Batchelor: Yes, sir. We’re wanting to let you know plenty in advance because we’re inviting churches to register. Pastor Ross and I are going to Texas, the Dallas area, where we will be uplinking on international satellite a special program that’s just for kids and it’s called “Amazing Adventure”. It’s a satellite evangelistic program – 10 days, 10 presentations that are focused on kids between the age range of 8 or 9 through 12, so we probably won’t evict anybody who wants to listen from 8 to 80 if they wanted to, but it’s going to especially target leading young people to Christ, perfect for homeschoolers, Christian schools to tune in and we’re going to focus on the Bible basics and how does a young person accept Christ and 10 presentations will be together there and in fact we’re going to probably be bringing a couple of our kids in those age ranges as well. Call “Amazing Adventure” and if you’d like to know more about this program, go to the Amazing Facts website, say I’d like more information on your Amazing Adventure, your kids’ satellite television broadcast. Pastor Doug Batchelor: …Bible lessons. Pastor Jean Ross: Bible lessons that Amazing Facts is working on right now. So it’s just an exciting event, we pray that the Lord will bless! It’s very important to reach this age group, this is when decisions are made that affect their lives. Pastor Doug Batchelor: That’s right. The most fertile time in a child’s life is during this age range, right there between 8 and 12, where their hearts are very sensitive to the Holy Spirit and they’re making life decisions for Jesus. So we hope you’ll tell your friends about the Amazing Kids program, once again, that’s September 12 through 17, stay tuned to Amazing Facts at 3ABN for more details. Probably after that thorough commercial recess we should take some Bible questions to compensate. Pastor Jean Ross: Let’s go to Joewho is listening from Long Island, New York, on WMCA. Joe, welcome to the program. Joe: Hello, gentlemen, how are you doing? God bless! Pastor Jean Ross: God bless! Joe: My question is: I heard a couple of lessons on Sundays thatpastors preach on tongues from the Book of Acts. And my questions – a partial one – do you believe tongues are the initial physical evidence of the baptism of the Holy Spirit and do you believe tongues continue today? Pastor Doug Batchelor: All right. I’m going to answer your question, but allow me to use my wording, because it’s very important Biblically. I do believe in the gift of tongues and before I even go any farther, I wrote a book on tongues and it’s called Understanding Tongues and I’ll send you a free copy. But now let me answer your question: the evidence for the Holy Spirit, nowhere does the Bible say evidence for the Holy Spirit is tongues, that’s a very popular slogan in some church denominations but it doesn’t say that in the Bible. The fruit of the spirit is in Galatians 5, which is of course love, joy, peace, long-suffering, patience, goodness, meekness so forth. So that’s how you know a person has the Holy Spirit, by the fruits. Jesus said you’ll know them by the fruits. Nowhere does Jesus say you can know by the gifts, gifts can be counterfeited, the fruits of the spirit are difficult to counterfeit, that’s why Jesus said a fig tree cannot bear thorns and a thorn bush, a thistle, does not bear figs. So it’s hard to fabricate genuine love and patience and meekness, those things just flow out of the heart. So the gift of tongues I do believe in, but the way you see it being used in the Bible is different from the way many churches interpret that. In the Bible you see the Holy Spirit giving in his gift to the apostles, the ability to supernaturally speak any language they never formally knew or studied for the purpose of communicating the Gospel. And there’s three examples of speaking in tongues, in Acts 2, Acts 10, Act 19. In all of those examples there are multiple language groups present. So the idea that some of the popular use of tongues, where people are sort of battling incoherently and they don’t know what they’re saying, you don’t find an example of that in the Bible. Joe: Can I ask one last question? Joe: Do you believe – because I know sometimes they preach also that – the private prayer language? Pastor Doug Batchelor: There’s no example in the Bible of anybody praying a private prayer in tongues. Paul talks in I Corinthians 14 quite a bit about speaking in tongues upfront. And the word ‘tongues’, there means a language, if you look in any translations, it doesn’t even say the word ‘tongues’, for someone who speaks in a language, they need to have a translator. Paul said: I speak in more tongues or I speak in more languages than all of you. Paul traveled widely and he spoke many languages. So Jesus said in Mark 16: ‘You will speak in other tongues’. Then you see the example of that in Acts 2. You know what, Joe? I do appreciate you calling in with this question and we hope that you’ll send for that book, we’d be happy to send you the book called Understanding Tongues, and I trust that it will give you lots of Scripture support for what we’re saying here. Anybody can ask for that, Pastor Ross. Pastor Jean Ross: The number to call is 1-800-835-6747, you can ask for the book on Understanding Tongues. Pastor Doug, you wrote a book on the subject, Captured by Tongues. Pastor Doug Batchelor: Well, this is the same book, actually. Yes, we just redid the cover and the title. But that’s the same book. New cover, old book. Pastor Jean Ross: All right. Great book, dealing with this question of the gift of tongues. Brian is listening on the internet from Hobbs, New Mexico. Brian? Pastor Jean Ross: Good evening! Brian: My question has to do with Genesis 1 and 2 and the question is: why is it that those two chapters seem to have contradictory creation stories? 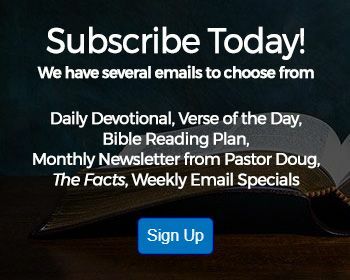 Pastor Doug Batchelor: You’re talking about in Genesis 1 where it talks about the overall creation, and then Genesis 2 talks more about the creation of woman and the specifics of creating the animals? Pastor Doug Batchelor: It’s because in Hebrew, the way they wrote, they’d say we’d start with headlines, sort of a sweeping statement, then they back up and they give the details. For instance, the opening verse of the Bible is a sweeping statement, in encompasses the whole Bible. ‘In the beginning God created the heavens and the earth’. Well, that covered pretty much everything in the Bible. In the beginning, God existed, he created everything that was created, up above, down below. And so in Hebrew, they wrote that way, and especially in the Old Testament you’ll see more of that, in New Testament you see some more Greek and Roman influence, but Luke of course was a gentile that wrote in the New Testament, he uses a little different style. So it’s giving the overview of creation, the first 7 days of creation in chapter 1, or I should say the first six days, then it backs up and it gives the details of that sixth day of creation when man was made, the naming of the animals, man realizing that there was not a female counterpart for himself, God then making woman. So it’s giving more detail on the sixth day in chapter 2, but it’s the same creation event. Brian: Ok, well, thank you. Pastor Doug Batchelor: All right. That’s a common question, that’s a good question and by the way, Brian would appreciate our book dealing with the Bible and how it’s written called The Ultimate Resource. Pastor Jean Ross: To get that, again, 1-800-835-6747. You can ask for a little book The Ultimate Resource, we’d be happy to send that to you. Don is listening online from Los Angeles, California. Don, you’re on the air. Don: Hi Doug, hi Pastor Ross, how are you? Pastor Doug Batchelor: Very well, we appreciate you calling. Don: I’ve got a question for you about Isaiah 8:20, Pastor Doug. I’ve heard you many times over the years quote this verse talking about, and I’m assuming that you’re meaning…speaking not according to the law or the testimony that the law is talking about the Ten Commandments and in your denomination in particular you’re highlighting the Fourth Commandment. Is the testimony that you’re talking about there some writings from a female prophet, from a person that you believe was a prophet? Pastor Doug Batchelor: No,actually I’ll tell you right upfront what I believe. When Isaiah says ‘To the law and the testimony’, that is a statement that’s used in the Bible for the word of God. Jesus in Luke 23, when He’s speaking to the two disciples on the road to a Mass, I think it’s Luke 23, or must be around verse 16, and he says: ‘O fools, and slow of heart to believe all that the prophets have spoken’, beginning at Moses and all the prophets, He expounded on to them and all the Scriptures the things concerning Himself. The ‘law and the prophets’is a term that’s used in the Bible to describe the word of God. The last statement in the Old Testament is ‘remember Moses my servant’, who of course gave the law, ‘Behold, I send you Elijah the prophet’. And the ‘law and the prophets’ is referring to the word of God, it was sort of a summary phrase for the word of God that’s used. Don: I’m really confused, Doug, to be honest with you, because like I said, I’ve heard you quote this a lot over the years, I’ve heard many ministers within your denomination triumphantly quote this verse and of course you know they’re referencing the Sabbath when they do that and seeing these other people that don’t believe the way we believe, they have no light in them because they don’t speak according to the law and specifically the Fourth Commandment. And I’m wondering, can you understand my confusion on that a little bit? Don: Because how can somebody say: well, someone is a Christian if they’re living up to all the light that they have, I’ve heard that phrase used a lot. But then on the same token you turn around and you quote Isaiah 8:20, there seems to be a contradiction there. How could somebody possibly behave, even if they’re living up to all the light they have, if they’re not, according to you guys, obeyingIsaiah 8:20? Pastor Doug Batchelor: Well, I didn’t write the Isaiah 8:20, I mean this is what the Bible says, according to the law and the testimony, they speak not according to this word, there is no light in them. I didn’t author that, I’m just reading what is says. Would you agree that the law would, as a basic, it would include the Ten Commandments. Don: Yes. It would be the whole Bible. Pastor Jean Ross: Yes, just on that law and the prophets, you know, you look at the Old Testament, of course that’s the Scripture that Jesus used. It was basically divided into two parts: the first five books written by Moses, often referred to as the Law, and then the rest of the Old Testament, for the most part, written by the prophets and referred to as the Testimony. So you have the two divisions of the Scriptures, the Law – the Pentateuch –, and then the Testimony, that’s why we have Moses and Elijah – Moses symbolizing the Law, Elijah symbolizing the Testimony or the writings of the prophets. Don: Well, if that’s really what you guys believe in, it’s encouraging to hear that because I’ve heard quite differently in other areas over the years within your denomination. I think you know what I’m talking about if you’re honest. And you know, I’ve been very confused by that because that verse has troubled me for a long time, I’ve never really fully understood what it meant, I’ve heard many people give their interpretations and what they think it meant. What you’re saying I think makes a lot of sense and I appreciate that. Pastor Doug Batchelor: Well, let me give you another verse. In the New Testament, Jesus in Matthew 7 in the Sermon on the Mount, He said: ‘Therefore all things whatsoever ye would that men should do to you, do ye even so to them: for this is the law and the prophets’. Christ is saying the summary of the Scripture is contained in ‘Do unto your neighbors as you would have them do unto you’. So that would be the broad comprehensive part. You have heard us that narrowing down the categories of the Law and the categories of the Testimony of the prophets, and I think that’s you’re referring to. But in a broad, sweeping sense, it’s the word of God. Don: Yes, I think I am. You know, since we’re not allowed to use, you don’t want us to use names or specific references, you know, probably most people out there know what I’m talking about, but you come across…You know, on the show, you’ve been this wonderful, ecumenical and probably for the most part you are, but I know you thoroughly believe in what your denomination teaches traditionally. Pastor Doug Batchelor: If I don’t, I’d better go somewhere else. Don: Right, and I think you’re consistent. I’ve got to hand it to you, I believe you’re consistent, but I think there are some of us that have been raised in the church that have questions, that have gotten to a certain point in our life, in our Christian walk where we question what we believe and, you know, sometimes it’s really hard to know where to look for the answers. I know we should be looking in the Bible, but you’ve helped me with this one anyway and I appreciate that. Pastor Jean Ross: You know, Pastor, on that verse, Isaiah 8:20, it’s an important verse. It’s true, God judges each person according to the light that they have, but as a safeguard, we want to compare what people are saying, what preachers are telling us, by the word of God. Pastor Doug Batchelor: Yes.The devil is famous for his tactic, you give a certain element of truth and then mix in something toxic. You know, all through history we’ve heard of people who had a lot of Bible, but then they had one doctrine in particular that was very deadly. That’s why we say there’s got to be this continuity, consistency of truth. Pastor Jean Ross: Our next caller is Wanda, listening on WMCA from Brooklyn, new York. Wanda, welcome to the program! Wanda: Hi, how are you? God bless both of you! Pastor Doug Batchelor: God bless you, Wanda! How can we help you tonight? Wanda: Thank you.Mine is a brief one. My friend’s little boy passed away two weeks ago. He died of a flu, and it was sudden, quick. Asthma attack. Anyway, is there any Scripture that I can give her that would comfort her in any way? I don’t know what to say. Pastor Doug Batchelor: Yes, I know. That is heartbreaking. Pastor Doug Batchelor: Oh my! You know, Pastor Ross and I are both pastors, we’ve done funerals where the coffins are the little white ones. It’s very heartbreaking when you have to do a service for a child and a family, especially in this kind of circumstances. You know, they need to be encouraged that, for one thing, these little children of believers, it says in 1 Corinthians 7, that the children are sanctified by the believing parents and that leads us to believe that in the Resurrection, you know we hear that the children will go forth in Malachi 4, they’ll grow up. In order for the children to grow up in the new earth, they’re going to have to be there in the Resurrection. These parents are going to have angels bring them and place in their hands their children with new glorified bodies that were separated by death. And so encourage your friend with the promise that their next conscious thought when they come from the grave or should the Lord come first, is to be joined again with their adorable children that they lost through this tragedy. Pastor Jean Ross: Of course, the word that we have promising them in the Scriptures is 1 Thessalonians from verse 13 all the way through to 17 where it talks about Jesus’ coming and the dead in Christ being resurrected. That gives us hope. If it wasn’t for the Resurrection there would be no hope. Wanda: Is there any booklet that you have for parents that lose their child? Pastor Doug Batchelor: We do have a booklet called When Days are Dark that can offer encouragement for trials like this. It would probably be a good idea for us to find a resource because periodically we run into this and it’d be good to have something. But give our… share our prayers with your friends, I know that’s heart-wrenching. I lost a child, I know how devastating it could be. And tell them we’ll be thinking of them, praying for them. Pastor Doug Batchelor: All right, Wanda, God bless! Pastor Jean Ross: John is listening on WMCA from New York, New York. John welcome to the program. John: Yes, thank you pastors for your very informative Christian doctrines. I ask the question. Since God has throughout Scriptures declared Himself to be triune God and let us make man and who will go for us, the question I ask, I’m not pointing at an answer for you, so you don’t have to be apprehensive about this... Can a person actually believe in God if they do not believe in the triune God? Pastor Doug Batchelor: Well, I don’t question the belief of millions of people around the world that may not embrace the trinity. I don’t say that they don’t believe in God. I would disagree with their interpretation, but I trust that there’s going be many people in Heaven that maybe did not understand the doctrine of the trinity. So is that what you’re asking me? Pastor Doug Batchelor: What are you asking me, pardon me, John, you’re asking me two different questions. One question is “Do I believe that a person can sincerely believe this and be saved?” I think they’re wrong, but we’re not saved upon doctrinal perfection. We’re saved based on our faith and following the life we have. There are many sincere people that have not understood the truth that God is composed of three distinct persons. One God, three persons. But that doesn’t mean that they can’t be saved if they haven’t comprehended that. Pastor Doug Batchelor: Well, I don’t disagree with you John, I believe that Jesus is the true God, the Son of God, I think maybe we’re talking around a number of issues and it sounds like your question may be connected with the subject of the trinity. This is one of the big questions that has been debated in Christianity for about 2000 years, 1900 years. John, I want to thank you for calling with that question, but can we recommend that book on that subject, maybe you have not read the book we wrote, it’s simply called The Trinity, is it Biblical? Pastor Doug Batchelor: So you have read that. Pastor Doug Batchelor: Well, we’ve got to be careful not to judge somebody on what they’ve rejected because some people reject things because it’s presented so poorly that the evidence is not there. Good looks in their heart to see if they’ve comprehended. If a person is rejecting the light, that the Holy Spirit has convicted them about, that’s sin because the Bible says: ‘To him that knows to do good and does it not that it is sin’. Anyway, I appreciate your call, John. We’re going to try to get a couple more folks in here who are waiting patiently. Pastor Ross, who is in line? Pastor Jean Ross: Ernest, are you there calling from... I’m not sure where you’re calling from. I have your G for a state, what state begins with the letter G? Pastor Jean Ross: Ernest, welcome to the program! Ernest: Yes, thank you. My question is... Well, first of all I’m watching you all time on World Network. Pastor Doug Batchelor: Oh, Praise the Lord! Ernest: As a matter of fact, I’m about to watch you in about 30 more minutes. Pastor Doug Batchelor: Well, we won’t keep you from that. Ernest: My question is, I’m a musician, you know, I have a problem on the teachings on the Sabbath and I really, really got myself involved in that subject, pretty difficult. Most of the time I do most of my rehearsals of the choir on a Saturday. And I was just wandering, was I being in violation. Pastor Jean Ross: And probably another problem would be the focus. You could rehears a song and have your focus on praising God. Your focus could also be on getting that chord just right. And then your focus can be more on the logistics of the music or the song versus really focusing on praising God. Pastor Doug Batchelor: The worst scenario, of course some people, when they preach or play up front, the focus is on me “Am I performing well?”, that, of course, is the wrong attitude, but if it’s done in the Glory of God, then... I would think it’d be ok. Did that help? Ernest: Yes, yes, yes, just fine. I do a lot of things, but all I want to do is utterly is I want to see Christ, I don’t want to miss out on Him. Pastor Doug Batchelor: That’s the right, you got the right spirit! Keep in mind, Ernest, the Bible says if anything is not out of faith, so if you’ve got doubts about it, you follow what the Holy Spirit tells you. Appreciate your questions. Pastor Jean Ross: All right, let’s go to Ross, listening on WMCA from Lynden, New Jersey. At least I can pronounce that name. Ross, welcome to the program. Ross: Hi, thank you for taking my call. My question is, if you’ve been in a pattern of sin that you’ve repented of and you feel that you’ve been demonically attacked, once you repented the sin and turned from it but it seems that the demons who are attacking you won’t leave, what can you do to get them to leave? Pastor Doug Batchelor: Well, that is a good question. Sometimes even though we’ve repented of a sin and we’ve turned from a sin, the devil is infuriated that he’s losing ground when he’d lose somebody and Jesus said resist the devil and ultimately he would flee from you. “Draw near to God” and I believe this is James, Chapter 4, “Draw near to God and He’ll draw near to you.” So there’s a continual drawing near to God and resisting of the devil. Even when Christ was tempted by the devil, that devil came back three times. When ultimately it says he left Him for season. As long as you are in this world, Ross, you’re going to have the devil to contend with. You might get the victory over this specific temptation and he’ll try to come out at you at some other angle. He doesn’t take a vacation. But he does sometimes go away and regroup. So, draw near to God, He’ll draw near to you. We have our book that we can offer you, on how to get the victory over the devil. It’s called Did God Make a Devil? If you send for that, once again 463... Wrong number. 800-835-6747, ask for Did God Make a Devil? Listening friends you can hear the relentless music chasing us off the airways, but before we say goodbye remember that this is a self-supported program. We’re here because people like you have taken the time. Just let us know you’re out there. Go to the Amazing Facts website, we’d love to hear from you and remember, Jesus is the truth that sets you free!